A recent decision out of the Seventh Circuit Court of Appeals is a timely reminder that the decisions of plan administrators will be upheld provided they are reasonable. In the case Jones v. Children’s Hospital and Health System Incorporated Pension Plan, the Court upheld the administrator’s denial of benefits to a beneficiary even when the denial seemed unfair. The facts are as follows: Three days after retiring but three days before her pension was supposed to start, Linda Faye Jones passed away. Her daughter, Kishunda Jones, expected to receive her mother’s pension as the named beneficiary on the policy. However, the Administrative Committee that oversaw the pension denied the daughter’s claim, leaving her without any benefits. 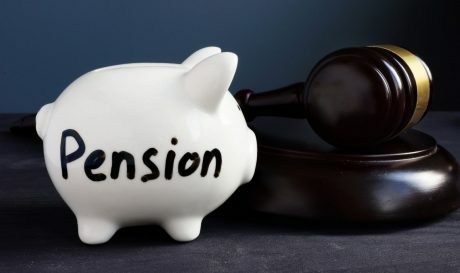 Under the Committee’s reasoning, only spouses can receive benefits under the plan in which a participant died before the pension’s start date. When she decided to retire, Linda Faye Jones was required to select how she wanted her pension paid out under the plan. She selected a 10-year annuity and named her daughter, Kishunda, as her beneficiary. According to the plan, the 10-year annuity is payable to the participant and, if she dies before the 120th payment, payments continue to the designated beneficiary until the annuity is completely paid. Under the details of the plan, however, only a spouse will qualify as a beneficiary if the participant dies before receiving the first payment. This is precisely the series of events that unfolded, with Mrs. Jones dying three days before her 10-year annuity was supposed to start. When Kishunda was denied benefits, she appealed to the plan’s Administrative Committee, which denied her request. The daughter then sued in court, where the case ended up before a federal district court judge. The judge ruled in favor of the plan, stating the case was “unfortunate” but that the Administrative Committee’s interpretation of the plan’s rules was reasonable. Kishunda Jones then appealed to the Seventh Circuit Court of Appeals, which upheld the lower court’s ruling. In an opinion authored by Judge Eve, the court held that the Administrative Committee had been invested with discretion to award benefits and that its decision was not arbitrary or capricious. According to the Court, the administrator’s reading of its plan was “reasonable” in light of the plain language used. For this reason, the Administrative Committee’s decision was upheld and the younger Miss Jones will not receive any benefits under her mother’s policy. Employer-funded pension plans frequently have confusing rules that are difficult for participants and their family members to understand. Before selecting a payment option, retirees should carefully consider all possible contingencies, including early death. If you believe you have been unfairly denied benefits, you should speak to an ERISA attorney in Chicago as soon as possible. At the Law Offices of Michael Bartolic, our clients find a sympathetic ear and clear legal guidance. We are pleased to meet with you, so please contact us today. Initial consultations are free.